The Giant Moray (Gymnothorax javanicus) is the largest of all the Indo-Pacific morays in terms of body mass and grows up to 3 metres in length & 30 kg in weight. It is a species of moray eel and belongs to the family Muraenidae of marine fishes. There has been reports of provoked and unprovoked attacks on scuba divers by this fish. The Giant Moray is mostly brown with a pattern of dark brown spots. The head of the moray eel is large but also narrow for accessing coral crevices when hunting. Circular gills are located behind the head and small eyes located forward. Juveniles are usually tan in color with more black spots. Morays look snake like although they are actually vertebrates. They have no scales and also do not possess pectoral or pelvic fins. Eels swim in an undulating S motion. They also secrete a mucus over their bodies so they really are “slippery as an eel”. Morays look more aggressive than they are. This is because they’re usually seen with their head sticking out of a crevice, mouth open. This is just for respiration, not intimidation. Often you will see cleaner shrimps like the banded boxer shrimp inside a moray eels mouth. This symbiotic relationship keeps the the eels gnashers healthy and provides food for the shrimps. The giant moray eel is widespread across the Indo-Pacific area. 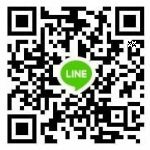 From the east coast of Africa including the Red Sea to the Hawaiian islands and Polynesia. They can be found as far north as Japan and as far south as Fiji and Australia. Giant morays dwell in a variety of reef habitats and can be found in rocky reefs, coral reefs and occasionally in lagoons, provided there is shelter. They usually live in depths of 1 to 50 metres. Giant moray eels are carnivorous creatures and nocturnal in nature. They leave their lair at night and hunt along the reef, divers are far more likely to see free swimming morays at night than in the day. Moray eels are the only fish that use “pharyngeal jaws” to capture prey. This is a second set of jaws in the back of their throat which also has teeth and is used to full prey into the throat. Giant morays are known to engage in cooperative hunting with the roving coral grouper, a rare case of inter-species cooperation. They mainly feed on other fish and crustaceans but will also take an octopus or a diver’s finger if it comes close enough. Because of their poor eyesight, they depend on their excellent sense of smell which is the main hunting tool for them. For breeding the giant moray eels goes on a journey and travels up to 4,000 miles which can take up to seven months. Courtship between morays can occur at any time of year, usually when the water temperatures is at its highest. Any diver lucky enough to witness the breeding spectacle will see a beautiful dance where the eels rise up in a twisting embrace. This can last for hours. The fertilized eggs hatch into leptocephalus larvae which drift in the ocean for months before finally settling and becoming young eels (elvers). It takes about 3 years for a Giant moray to reach adulthood and they have been know to live to 36 years. 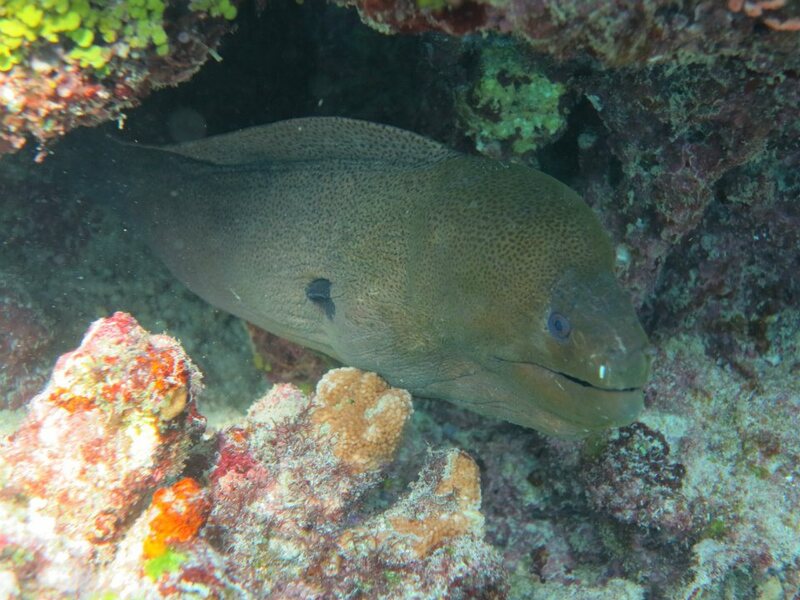 Eating giant moray has been known to cause ciguatera poisoning although the disease is not prevalent in Asia being more an issue in the Caribbean and south America. 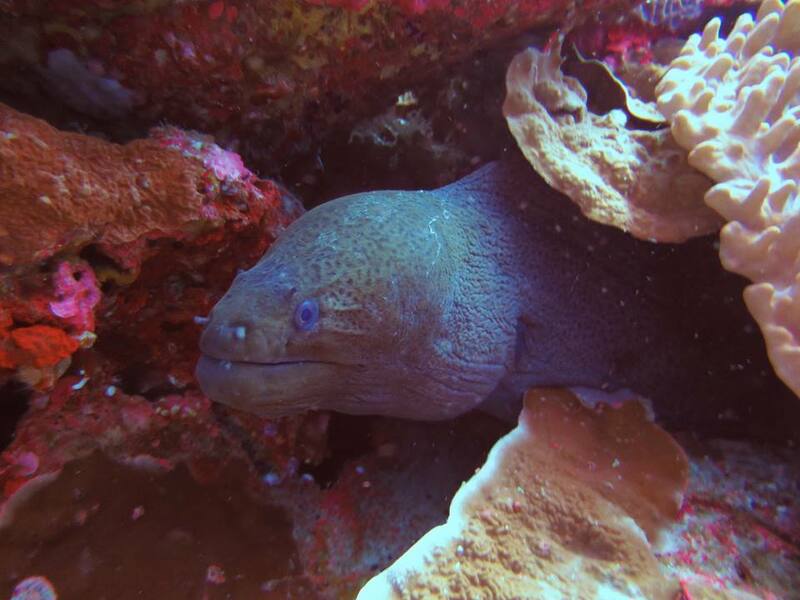 Giant moray eels have notoriously poor eyesight and rely on smell to hunt. This poor eyesight is why they sometimes grab a diver’s thump instead of the offered food. Moray eels are top of the food chain with no real predators. Scientific studies have found hermaproditism in morays.